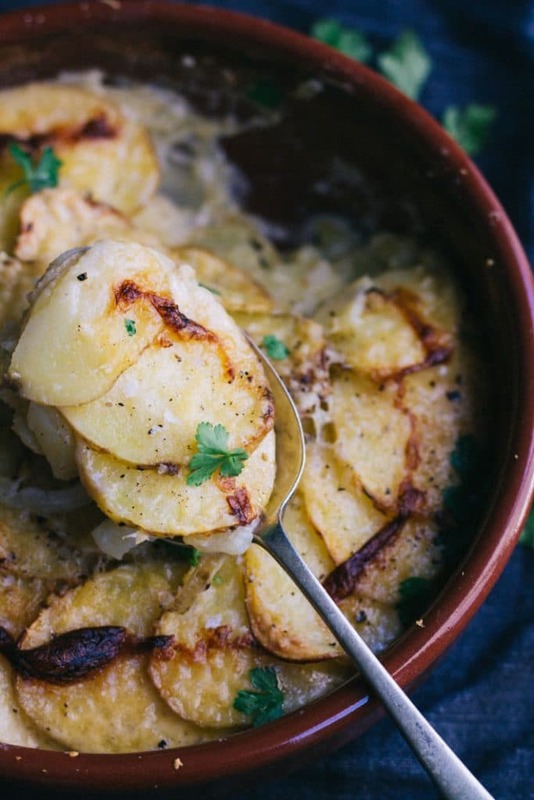 An comforting potato bake that is creamy in the middle and crispy and golden on top. So easy to make on a weeknight and so tasty! Jump to recipe. Any Paleo, carb-hating friends may want to look away right now, some content in this blog post may be disturbing. Seriously can you beat that combo? It was school photos today at preschool. I have a family of boys so no one but mummy seems to get excited about the prospect of school photos. I relish the idea of being able to plan the boys outfits (matchy-matchy of course), go shopping for them, do their hair and make them look all cute for the photos. The way they see it: pure hell. Firstly, have you ever met a boy who likes clothes shopping? Well, that was my first mistake. I’ll let you imagine for yourself how that one went down. Then to give me another kick in the shins, I was so flustered the first time I I went shopping with them that I bought all the wrong sizes and had to go back the next day for round two and exchange them. Then this morning I had to crack out negotiating skills which would rival the Secretary of State to get the boys into their clothes, only to have my two year old screaming the whole way to preschool about his ‘pants’. He doesn’t like it when his pants ride up his legs more than a mere centimetre and will complain profusely if this is the case. To be fair the little guy hasn’t worn shorts since last summer and probably can’t remember that, but it made for a pretty intense car trip (stuck in traffic I might add) to preschool. Once at preschool a few bribes went down range including promises of kinder surprise eggs and chocolate treats after preschool if they wore their fancy shoes and sat together for the photo but we got the photos (thanks to one seriously amazing photographer’s assistant who really should be my nanny) and all in all, it actually went really well. There were some cute photos with the boys smiling and no boogers were in sight on anyone’s faces! I went home had slumped on the couch with a cup of tea and wondered why exactly I got excited about the whole process? I need girls. So tonight for dinner it has to be easy and comforting. Enter my friends cream, potatoes and cheese. 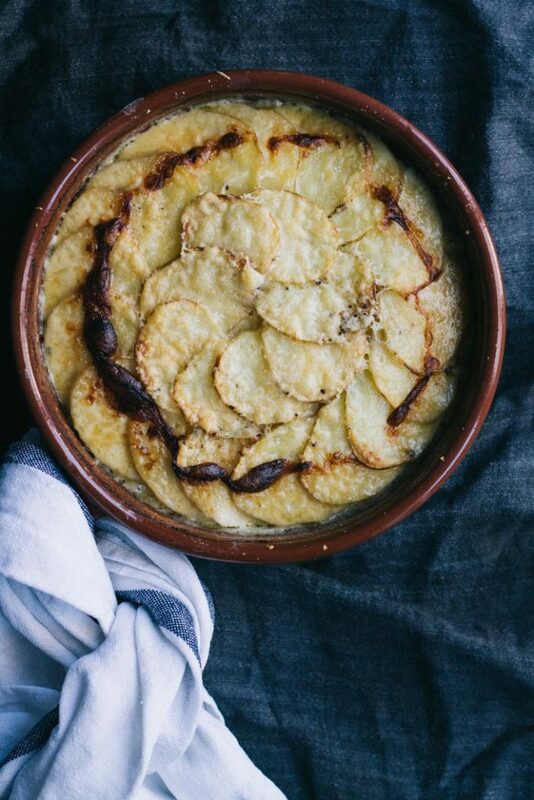 I have always loved a potato bake. 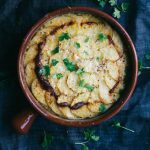 My Mum would make them regularly growing up but she would make it sound fancy calling it an Au Gratin – same thing really. 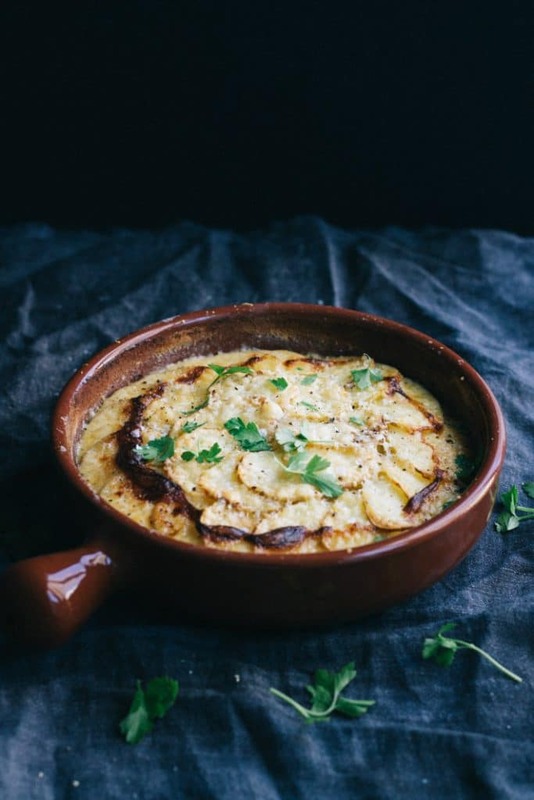 There are all sorts of recipes out there for potato bakes and gratins, some you cook the potatoes first, some you soak them, some you heat the milk and cream with spices first, some you don’t add cheese, some you do. There are a million ways to make them, but this has to be the simplest and is so tasty. 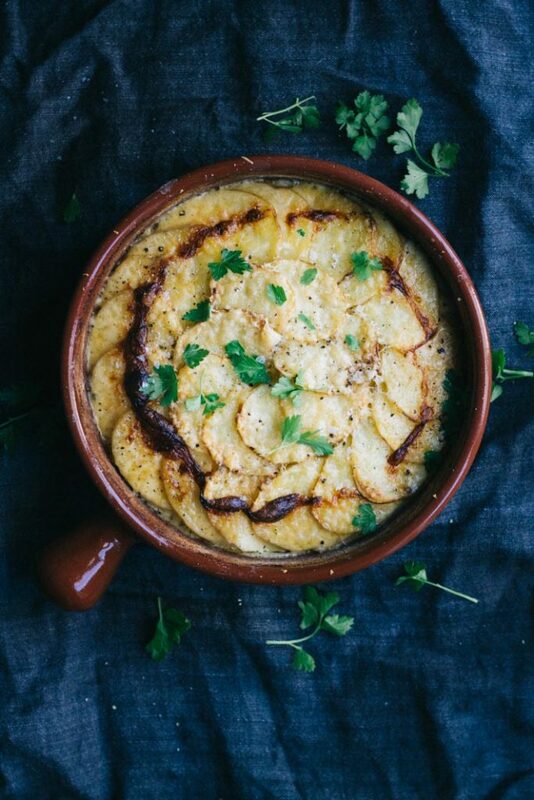 Slice the potatoes, layer with thinly sliced onion and garlic, pour over cream and cheese then bake and you’re done. Easy weeknight comfort! 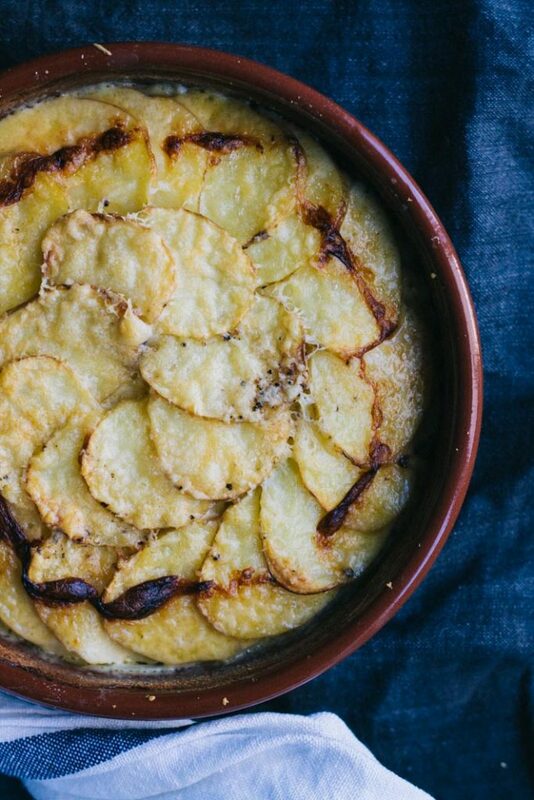 A comforting potato bake that’s creamy but crispy on the top. So easy to make on a weeknight and so tasty! 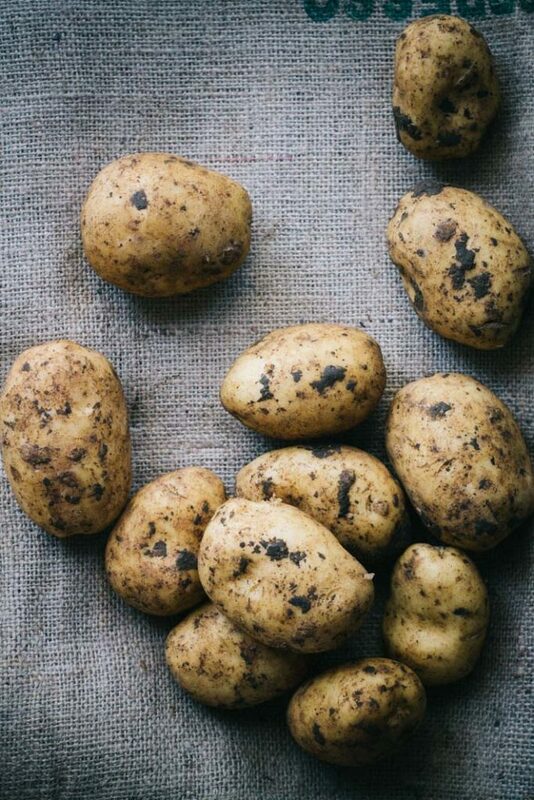 Wash and thinly slice potatoes. I like to leave the skins on, but feel free to peel them if you prefer. You can either slice the potatoes by hand or using a mandolin or food processor. 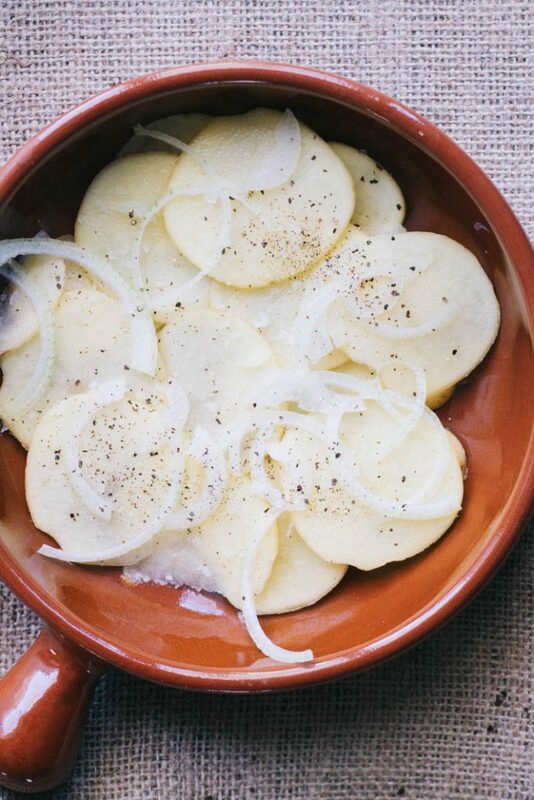 Place a layer of potatoes in a baking dish, sprinkle over a little onion and garlic and season generously with sea salt and fresh cracked pepper. Cover with another layer of potatoes then a little onion, garlic and salt and pepper. Repeat until all the potatoes, onion and garlic are layered in the baking dish finishing with a layer of potatoes. Gently pour in cream and sprinkle over cheese and some more sea salt and fresh cracked pepper on top. Cover tightly with aluminium foil and place in the oven for 30 mins. Remove from oven and remove foil. Place back in oven and bake, uncovered for 30-40 min or until the potatoes are cooked through and crispy and golden on top. The amount of time with depend on the thickness of your potato slices and the size of your dish so check after 20 minutes uncovered. 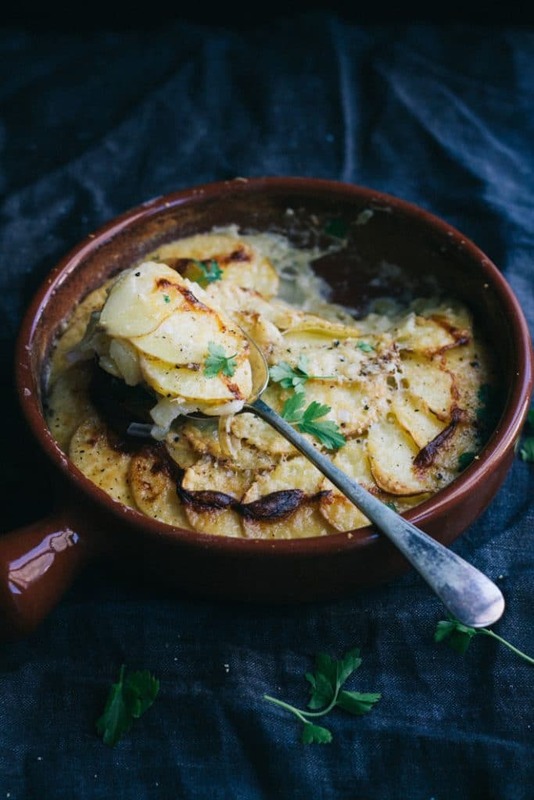 You can remove the potato bake from the oven after 30 minutes of covered cooking then allow to cool completely. Place the par-baked potato bake in the freezer and freeze for up to 3 months.